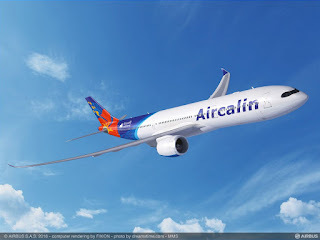 Aircalin, the Noumea based carrier in the French territory of New Caledonia has firmed up its order for two A320neos single-aisle and two A330-900 wide-body aircraft. The A320neo powered by Pratt & Whitney engines and equipped with 168 seats will be deployed on regional routes to Australia, New Zealand and the Pacific Islands. The A330neo, powered by the latest generation Rolls-Royce Trent 7000 engines will feature 26 seats in Business, 21 in Premium and 244 in Economy Class. Aircalin plans to deploy the aircraft on commercial services to Japan for onward connections. “Investing in our new fleet of modern efficient aircraft reduces our environmental impact thanks to lower fuel burn and allows Aircalin to reduce operating costs too. Equipped with the latest technology the aircraft will drive Aircalin’s strategy forward in Asia Pacific as well as its ambition to promote the development of tourism in New Caledonia”, said Didier Tappero, Aircalin CEO. “It is a pleasure to see Aircalin modernising its fleet with our latest generation single-aisle and twin-aisle aircraft. 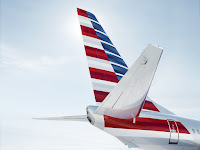 The A330neo and A320neo will enable Aircalin to offer its customers unprecedented levels of comfort,” said John Leahy, Chief Operating Officer- Customers, Airbus Commercial Aircraft. “Aircalin will benefit from the unique commonality between all variants of the Airbus Family and enjoy efficiencies throughout its existing fleet. The A330neo has latest generation Rolls-Royce Trent 7000 engines, new wings and a new cabin. It benefits from the versatility and high reliability of the A330 but reduces fuel consumption by 14% making it the most cost efficient small to mid-size widebody aircraft on the market.